The bigger size Goodbyn is back and it is super versatile. You decide, 3 to 5 compartments. Hero has 1 large and two smaller compartments and 2 leak proof dippers to fit inside. 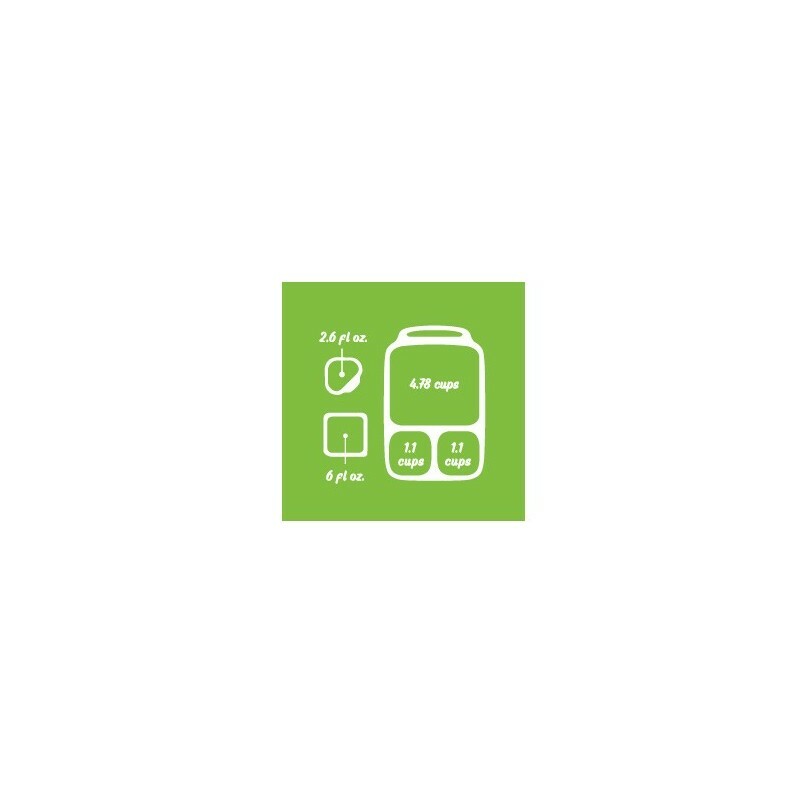 Goodbyn Hero is designed to help you pack a litterless lunch that's healthy and saves money. 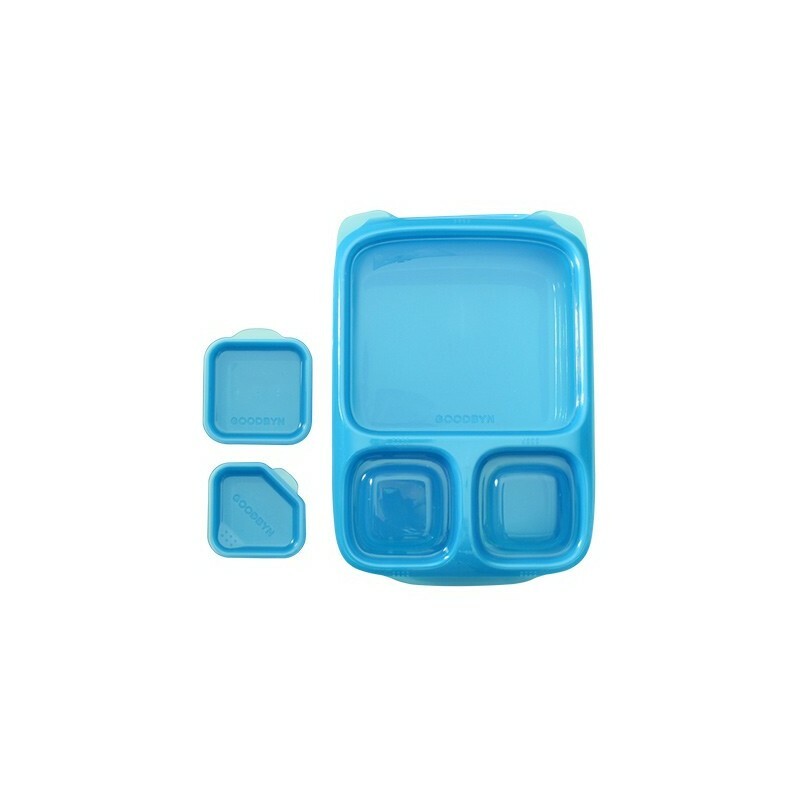 Free from BPA, PVC, phthalates and lead. Stickers and extra dippers sold separately. The larger compartments of the Hero are not guaranteed to be leakproof and are not suitable for liquids. The two dippers with lids are leak proof. No toxics or heavy metals used in manufacturing. Made of #5 PP (polypropylene) - one of the most benign plastics on the market. 27.2 cm long x 17.8 cm wide x 7 cm high. Kids Konserve insulated lunch bags - sky, ocean & moss. U-Konserve insulated lunch bag - slate. 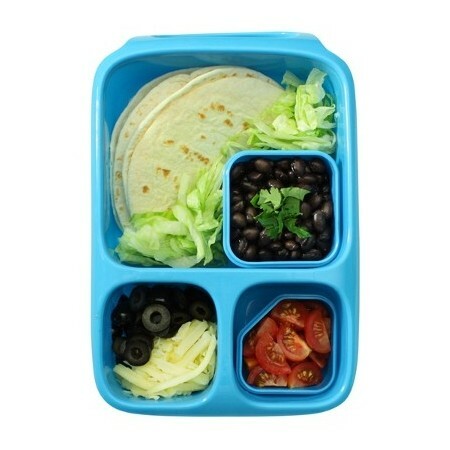 SoYoung insulated lunch box (it's a tight squeeze and could be difficult for little ones to zip up). 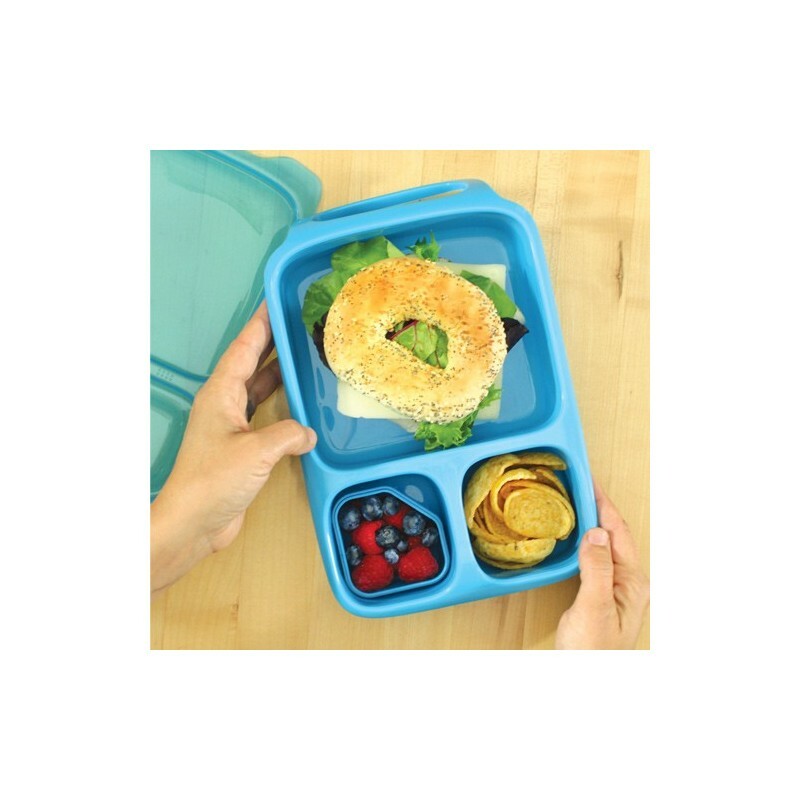 This lunchbox is great for those with a very big appetite. It hold an amazing amount of food. 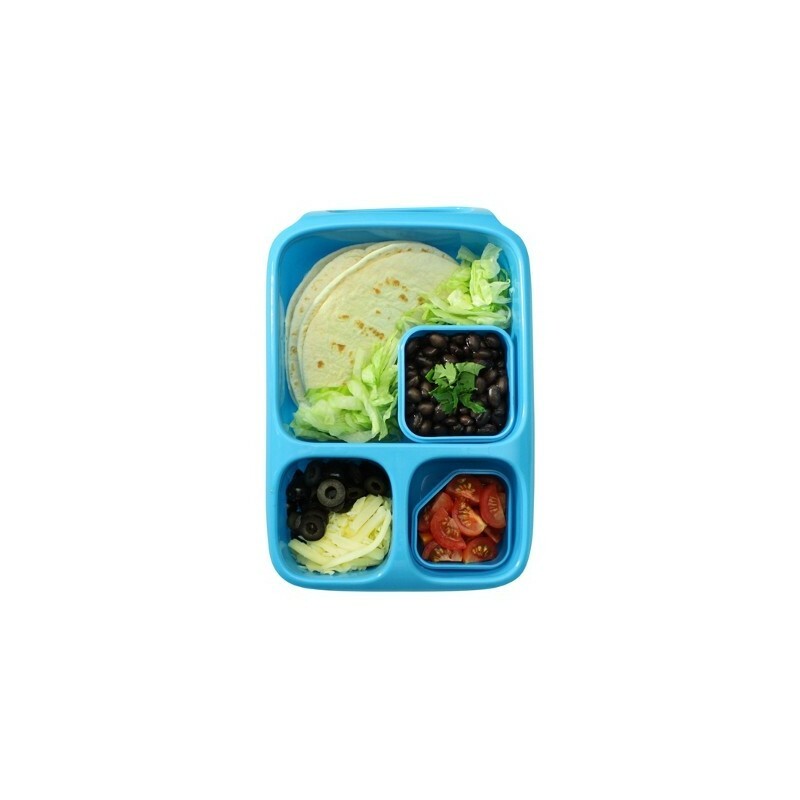 The separate compartments and dippers make separating food easy, and allow for lots of packing combinations, and when the lid is closed correctly there are no leaks. 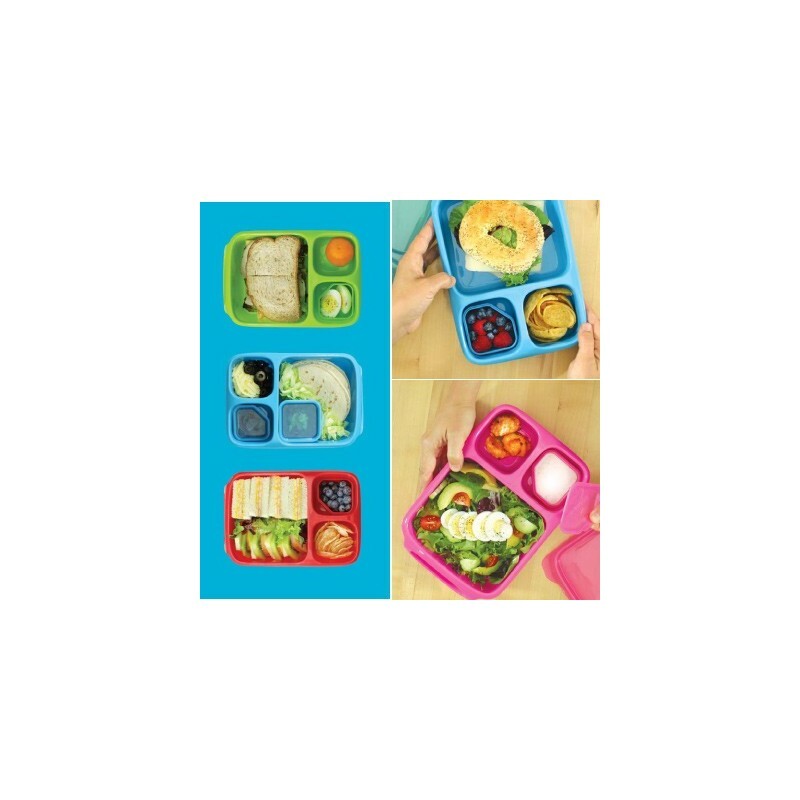 The only downside to this box is because the compartments are so large, unless you are packing a really big lunch the food will shift around because you can't pack it in tightly. When I use this box I always make sure to wrap the sandwich in a re-usable wrapper to stop it falling apart. Because it is so large I've found this box is mostly used by the adults, the smaller ones prefer the planetbox or lunchbots. Also it is slightly frustrating that the larger of the leak proof dippers does not fit in either of the smaller sections. Use food picks and this lunchbox fits so much mroe than the average bento lunchboxes, very happy. Will stick with Goodyn products from now on as the sizing and quality is great!